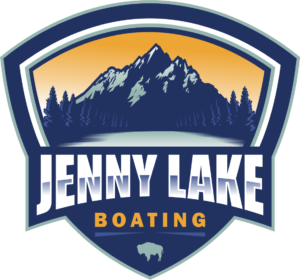 Jenny Lake Boating provides shuttle services across Jenny Lake at the base of Mount Teewinot. On the West side of the lake you will find the Cascade Canyon trailhead. There are trails from the boat dock to Hidden Falls (1/2 mile each way), Inspiration Point (1 mile each way) and into Cascade Canyon that leads North to Solitude Lake or South to the South Fork of Cascade Canyon, and beyond to Hurricane Pass and Schoolroom Glacier. The shuttle boat eliminates a 2-mile hike (each way) to the Cascade Canyon trailhead, thereby saving time and energy for your hiking day. Shuttles run every 10-15 minutes throughout the day. The last boat will leave the dock at the posted closing time. Reservations are not taken as the boats run continuously throughout the day. Come to the East Boat Dock, purchase the fare, and board the boat. 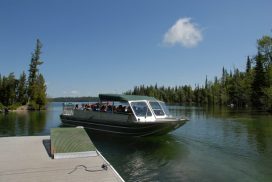 Options are available to take the shuttle round-trip (over and back with hiking time between); One-way from either East or West dock (ride the boat one way and hike one way). It is possible to hike to Hidden Falls and then take the shuttle to return to the East side of the lake. Simply hop on the next boat and pay at the counter on the East Dock.